In August 1941, a small Toronto-based comic book publisher called Hillborough Studio released the first issue of its first title, Triumph Adventure Comics. The series is an anthology, with each issue containing several one-page humour strips along with a few longer feature stories. These features showcase heroic characters like Cape Breton strongman Derek of Bras d’Or and Inuit demigoddess Nelvana of the Northern Lights. The team of artists and writers behind Triumph Adventure Comics sometimes drew on real-life Canadians for inspiration. The creators of Derek of Bras d’Or based the character on Angus McAskill (sometimes spelled MacAskill), a Cape Bretoner famous for his incredible strength and gigantic stature. 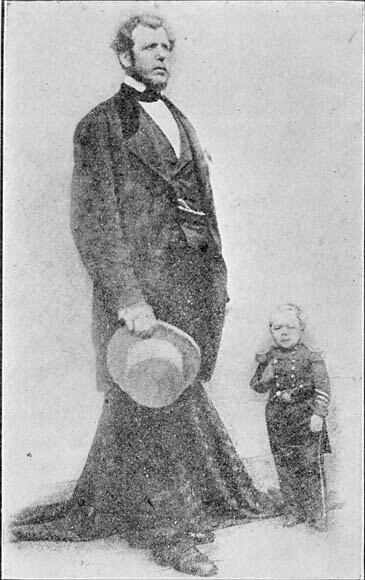 McAskill, who was almost eight feet tall, toured the world as a curiosity during the 1840s and 1850s. 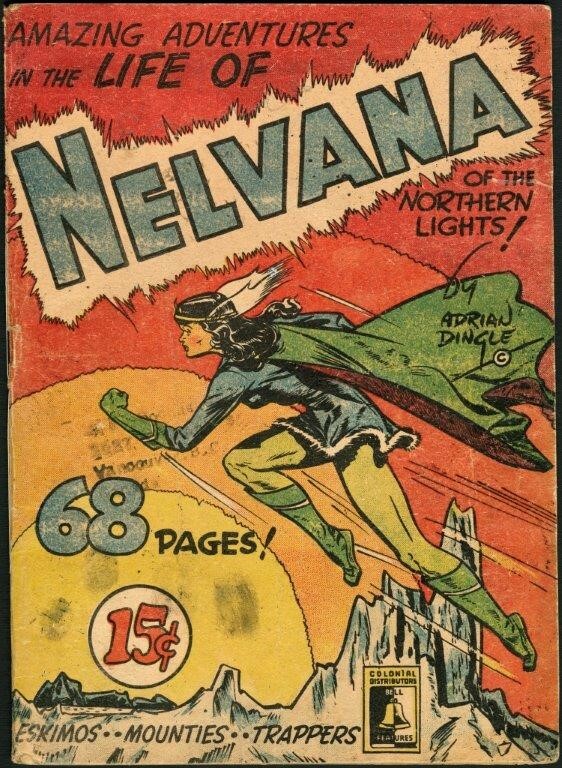 Although Nelvana of the Northern Lights is a fantastical figure, she too is partly based on a real person. Group of Seven painter Franz Johnston had encountered an Inuit woman named Nelvana while travelling in the Northwest Territories. He told his friend and fellow artist Adrian Dingle about the woman, and Dingle transformed her into the mythological, superpowered daughter of the Northern Lights portrayed in the comics. For more on Nelvana’s real-world origins, check out the Library and Archives Canada podcast: Guardians of the North: Comic Books in Canada. Early in 1942, Hillborough was absorbed by another Canadian comic book publisher called Commercial Signs of Canada. The merged company was renamed Bell Features. Continuing with Hillborough’s nationalist mandate, Bell Features would spotlight Canadian characters throughout most of its existence. Nelvana, featured regularly in a series now entitled Triumph Comics, became one of its flagship characters. Derek never reappeared. Be sure to visit Library and Archives Canada’s exhibition Alter Ego: Comics and Canadian Identity to explore more of the ways Canadian identity has been portrayed in comic books. The exhibition features selected reproductions of comic book art by Canadian artists. Alter Ego runs from May 12 to September 14, 2016, in the lobby of Library and Archives Canada at 395 Wellington Street, Ottawa. This entry was posted in Exhibitions, Our Collection and Facilities and tagged comics, Rare books by Library and Archives Canada Blog. Bookmark the permalink.